On Sunday we challenged a pretty close and dear North American myth of Christianity. That all you need is “me and Jesus” to follow him. This idea that you can follow Jesus without committing to a church, or a community of believers is pretty common. Our culture values autonomy, individualism, and freedom of choice so it’s no surprise its affected religion. The truth though is that you need a community to follow Jesus. Following Jesus isn’t a solo sport, and it’s not healthy Biblically to follow Jesus on your own. And this is a difficult truth to hear. Richard Rohr once said, “Before the truth sets you free, it makes you miserable.” And this is true. Because the truth is you need others deeply in your life to follow Jesus well, deeply, and for a lifetime. Faith is passed on in community. Faith is grown in community. And faith is found in community. So while I know it’s not popular to say: I believe we still need to commit to the church. Yes the imperfect, messy, and occasionally hurtful church. I know it’s not a popular belief, but I believe it is true. 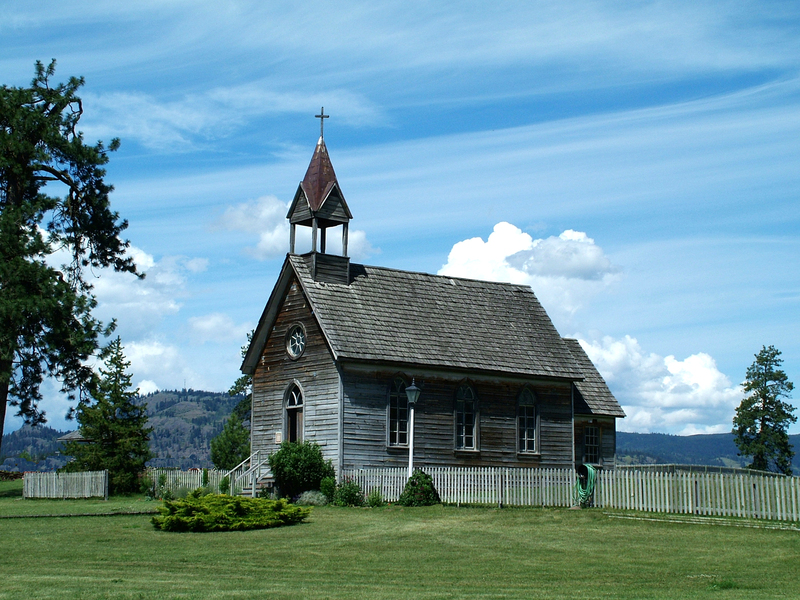 God is still using the church, imperfect as she may be. St. Cyprian once said, “You cannot have God for your Father if You have not the Church for your Mother.” And this is true. So on Sunday we looked at the last statement in our SevenFold Way of Following Jesus Series. I am participating in a community of followers of Jesus on mission to the world. And I believe that we do actually need to commit, participate, and join in God’s mission through the church. I’m not saying that you need to join our church, or a church that looks, acts, or is structured like ours. But I do believe we need to join a local body of believers to participate in God’s mission to change the world. You see, Church is not somewhere you go, it’s a people you participate with. Church isn’t a destination you go to, It’s a calling you live. And it needs to be lived out with others. Because I think the church and community matters, and I hope you do too. Big Idea: I am participating in a community of followers of Jesus on mission to the world. Church is not somewhere you go, it’s a people you participate with. God what have you given to me to give to others? The church exists to transform lives. What stuck out to you from the sermon? What was challenging to you? How did God speak to you through it? What was new? Have you ever had a bad experience with church? Have you ever had a beautiful experience with church? Why or why not do you think being a part of a community of believers matters? How might you more deeply commit, and participate in church? What next steps can you take? Talk to you kids about the importance of community. Ask them who other than you as their parents, are adults that they really respect. Ask them why, and then think about how you might have them invest more in your kids, because raising kids takes a community. Challenge for the Week: Commit and participate in a church, to transform lives. Previous Do we need the church?